Poxviruses are famous, or infamous, as agents of disease introduced into novel host species and between populations of the same species. This discussion concerns selected examples of poxviruses associated with vertebrate infections, i.e., the Chordopoxvirus subfamily of the family Poxviridae. Brief note is made of examples of members of the genera Leporipoxvirus and Parapoxvirus -like agents that have been recognized to have significant trans-host species impact. 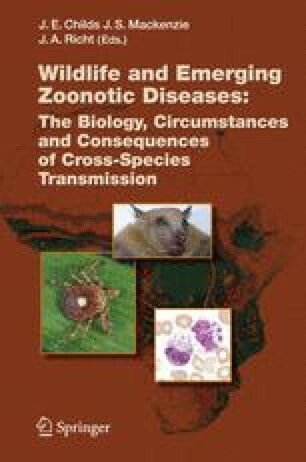 The remaining bulk of the discussion involves examples of members of the genus Orthopoxvirus, which are known to be (have been) involved with human disease, and their zoonotic origins.